XBMC has been the most popular media player that can be used to build a home theater system which enable media sharing among all of our digital devices. However, you will have problems when watching downloaded movie from iTunes on XBMC since iTunes movies are protected by DRM with DRM which makes it impossible to copy and view movies purchased in iTunes via XBMC. So, the best way to get XBMC play iTunes movie is to remove DRM from those M4V movies and convert M4V to XBMC supported video format: MP4. 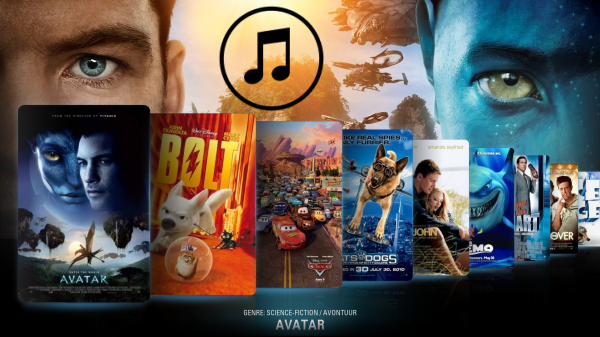 Now just download this software and follow the tips below to make your iTunes movies playable on XBMC. How to convert iTunes DRM video to MP4 for XBMC? Step 2. 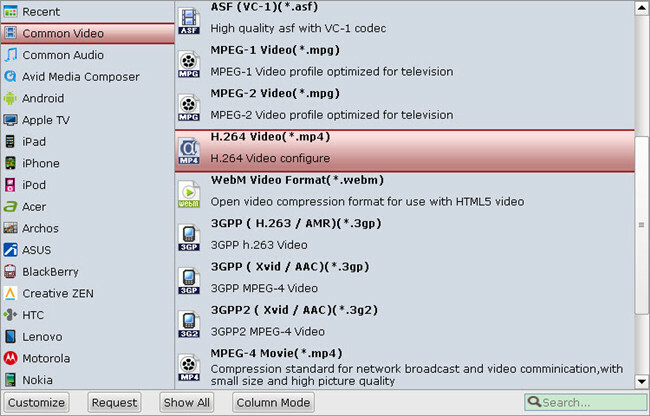 Let’s click the drop-down-list besides “Format” and move to “Common Video” column and choose “H.264 Video(*.mp4)” as output format for your XBMC. Step 3. You can click “Settings” to enter Profile Settings window and customize target video spec, you can find settings for video size, codec, bitrate and frame rate. Step 4. Now click the big red icon to start converting iTunes M4V videos to XBMC in batch; this converter will activate your media player automatically and start to play this video. The player windows cannot be removed or closed. After that, you can directly play the movie on your PC or you can stream the movie to your HDTV for playback with families and friends via XBMC home theater system. Remove DRM from Surface Pro: This iTunes to Surface Pro tutorial will show you how to put purchased or rental iTunes m4v movies on Surface Pro 3, Pro 2 and Pro for playback on the go. Remove DRM from Android: Need to remove DRM and record Blu-ray/DVD Digital Copy movies to Android tablet or phones for watching freely? Take it easy. This guide will instruct you step by step. Remove DRM from Galaxy NotePro 12.2: This article aims to help Galaxy NotePro 12.2 users to look for an easy and quick way to play iTunes/Digital Copy/Amazon videos on Galaxy NotePro 12.2 through remove DRM protection and convert them to Galaxy NotePro 12.2 support format.